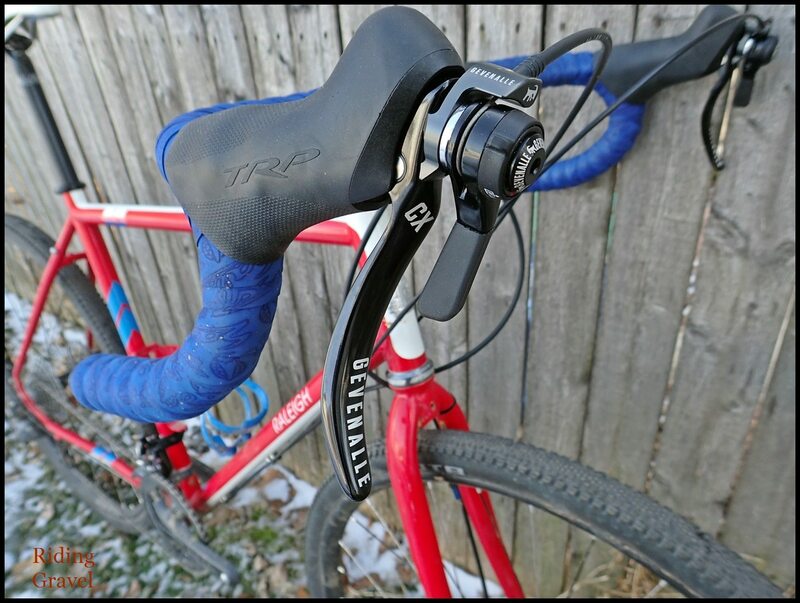 Gevenalle HYDRAULIC: Checkpoint- by Guitar Ted The Gevenalle HYDRAULIC system parts are the company’s take on a hydraulic brake/shifter set up that is in keeping with Gevenalle’s bomb-proof reliability and high functioning standards. My initial thoughts on the system are found by clicking HERE. 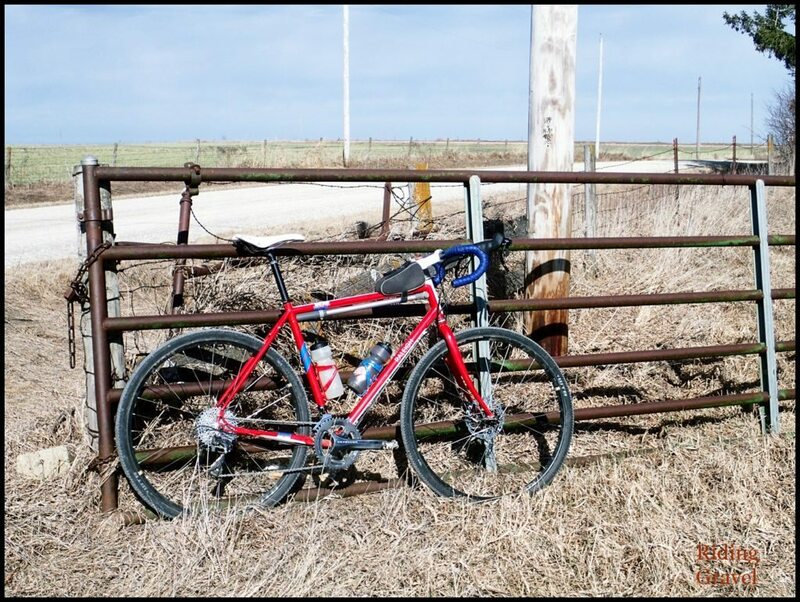 Since the time I wrote those initial thoughts down the HYDRAULIC system parts have been ridden out on gravel and for some “urban adventuring” on roads ranging from broken up pavement, deteriorated gravel, and on our typical Mid-Western gravel roads. Let’s take a look now at how the HYDRAULIC suite of parts have fared during this review so far. Shifting Performance: The shifters on the Gevenalle HYDRAULIC system are not unlike their other offerings in that they mount off the front of the brake lever and are indexed much like a bar end shifter. This latest version is compatible with 11 speed Shimano road components, but if you have a hankering for running big cassettes and need a mountain bike rear mech, they have you covered there as well. (Check out my Gevenalle GX Shifter review here. ) Another thing to note here if you are new to Gevenalle’s shifter design- you cannot shift the levers with your hands from the drop position. That has never been a deal breaker for me, but it is worth noting. These shifters, in comparison to a Shimano bar end shifter, are much easier to actuate. They have a lighter effort to move and find your next gear selection. The indexing is also a bit more subtle than on a Shimano bar end with the HYDRAULIC shifter having a softer audible click. This threw me at first, since I typically use a Gevenalle lever set up retrofitted with 9 speed Shimano bar end shifters most often. I was shifting two gears at a time when I meant to only go one click. Once I “recalibrated” my hands to this new, easier to move shift lever, I was spot on in getting one gear at a time again. The Gevenalle HYDRAULIC system on the Raleigh Tamland test sled. The rear shifts were then always right on and I did not experience any vagueness in the lever’s indexing. Nor did I experience any slight over or under shifting issues. I suspect that the new housing sections will compress a bit, given some more mileage, and that this will throw off the shifting precision a bit until I re-tune the cable. That is to be expected of a traditional gear cable and housing set up, so no knock on the HYDRAULIC system shifting performance there. It is worth noting that I am also using the BURD front derailleur here in combination with the left shift lever. That lever is not indexed, meaning there are no set positions for the shifter to stop at when shifting. I happen to prefer this, since you can “trim” out the front mech to adjust for chain line and I don’t have to rely 100% on cable tension to be “just so” to get a front shift to happen. The BURD front derailleur made the chain jump from one chain ring to the next just as well as the previous Ultegra front mech did and all without having to have massive amounts of cable tension to do it. The BURD front mech and the Gevenalle HYDRAULIC front shifter may be a throwback to earlier technology, but in this case, I feel it is not a step backward in performance at all. Braking Performance: The progression from being a user of a cantilever based system to a mechanical disc brake system and then to a hydraulic brake system has shown me the differences between them all. First off, it isn’t about whether or not your cantilever brakes will stop you. Of course they will. That is not at all the point though. The effort required to stop and how that effort is translated into stopping power can make huge differences in end results when it comes to braking performance and rider comfort/safety. When speaking of a hydraulic system, the level of effort required to come to a stop or to scrub off speed should be far less than with a cantilever system and better than a mechanical disc system. Against that measure, the HYDRAULIC system is very good. Even before the pads bedded in with the rotors I could feel this. How a rider can control the level of braking power is typically referred to as “modulation”. This can range from almost no modulation, or “On-Off” brakes, to “mushy” feeling brakes that never seem to give the rider proper feedback through the lever. The HYDRAULIC system has that really classic hydraulic lever feel- Easy to engage, easily variable braking power, but never grabby or too mushy feeling. The lever feel is progressive- it feels “harder” or more firm, as you get into the lever travel. In other words, this brake works like I have found the better hydraulic brakes should work and the feel is very good. I’ve been on Shimano’s hydraulic road disc brake system and in comparison, the Gevenalle system feels like it is more progressive in feel than the Shimano system is. To be fair, both are far easier to modulate in terms of effort at the lever than cantilevers or mechanical disc brakes. The doubters of whether or not hydraulic road disc brakes are a good thing should know that in terms of ease of use, and therefore safety, the hydraulically actuated disc brake is definitely an upgrade. Ergonomics: I mentioned it in the last update, but the hoods on the TRP designed levers are a bit longish. This caused me to wonder if those those longer hoods might be a fit issue. It turned out that they weren’t. In fact, quite the opposite, as I found the slight increase in real estate on the hoods to be a comfort enhancing factor for me. The lever blades are easily reached from the drops as well, so in the end, the ergonomics of the levers have been a plus for me. Obviously this is a subjective part of the component being that it is one of the critical “touch points” on a bicycle. If you have smaller hands, short fingers, or if you prefer having your hands wedged into one position, these hoods may not be to your liking. So Far…… The Gevenalle HYDRAULIC system and BURD front derailleur offer a lightweight, easy to use and maintain set up for severe conditions usage. True “one finger” braking is a reality here, and the front derailleur is simplicity and functionality at its finest. Yes, those brake hoods are a bit longer, which may not be everyone’s cup of tea. Larger handed folk should get on famously with these though and those with average sized mitts should find the extra real estate the hoods have to be liberating. Stay tuned for the “At The Finish” post in a month or so……. 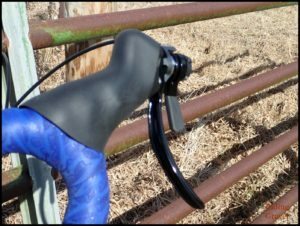 NOTE: Gevenalle sent the BURD front derailleur and HYDRAULIC levers over to RidingGravel.com at no charge for test/review.We are not being paid nor bribed for this review and we will strive to give our honest thoughts and opinions throughout. @GT Does the shifting seem cumbersome with heavy gloves on? @JGamm- In my opinion- no, it is easy to actuate the lever with thick gloves on. It is much like a thumbshifter in this regard. 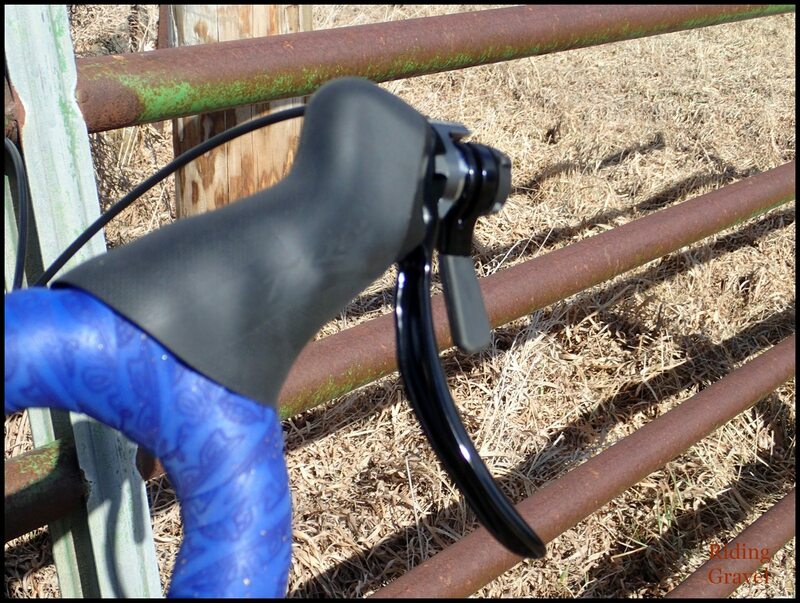 Keep in mind that the Gevenalle 11 speed shifter is easy to move and I think you will find that heavy gloves and these shifters will work just fine together.These are primarily designed to be used in muddy, cold, wet CX racing, so the gloved hand was part of the thought process the Goats at Gevenalle used when they set out to make these things. @James- I won’t tell you it couldn’t be an issue. Everyone has a different way of gripping the hoods. 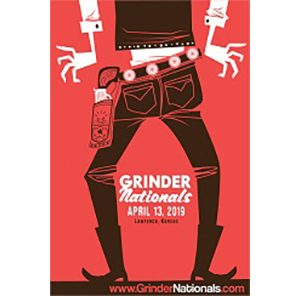 In my experience, it has not been an issue, but considering the fact that I have been using Gevenalle products since they were called Retroshift, it may be because I have learned how to do one finger braking without hitting the shift lever. Your initial reaction, coming off traditional brake/shift levers for road, may be different. The good news is that it can be done, and I am the proof of that. You may fall right in and have no problem, or maybe it would initially be a bother. It just depends upon how you prefer to grip the hoods, your hand size, etc. Are these paired up with existing shimano hydraulic calipers that were on the bike? @Ari- No, these are TRP based brakes, and the caliper/pad unit is TRP. Are the shifters easy to remove if you want to swap between SS and geared? @Lewy- It is possible, yes. Easy? Hmm…. I would caution anyone that attempted to remove the mounts to be very careful when doing so. It would be easy to mess up fasteners and threads. Ok cool. I suppose I could just not fit the gear cable when it’s SS.